I attended the Hall of Presidents during the passholder preview, which when we arrived the CM told us to go on in, it was open to all guests. 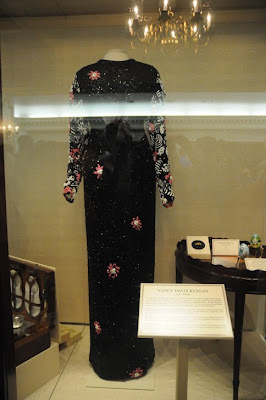 In the foyer, there were cases with dresses of past first ladies, and cases with some other memorabilia. Photos of the dresses are in the post. 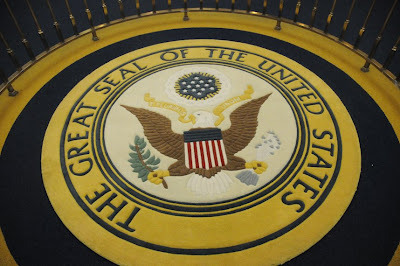 On the floor you will notice the Great Seal of the United States. I have heard in the past that Disney had to get permission to put this here. An announcement was made that there was to be no video taping or photography during the presentation. I had hoped to get photos inside, but that was not to be. I sat through the show twice and was very impressed with it. The Abraham Lincoln animatronic recited the complete Gettysburg Address which was very moving. George Washington also spoke, as did the current president, Barack Obama. I recognized President Washington's voice from the John Adams series on HBO. Same George Washington in the mini-series. He did a nice job. I also noticed that when the role call was in progress, there seemed to be less jumping from one side to the other. In the past show, by the time you looked, they had already moved on to the next President. 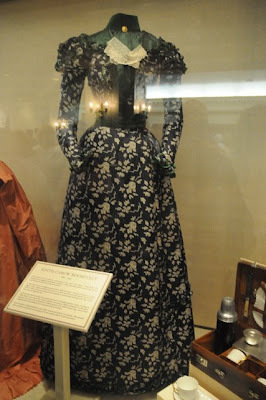 All in all, it was a much improved Hall of Presidents from the past version. 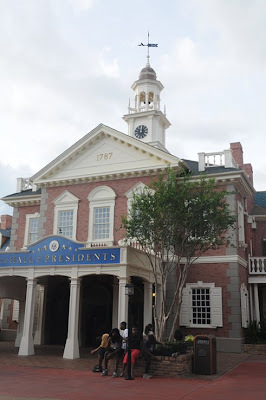 I was impressed with the way it flowed, the clear, sharp video, and most of all how wonderfully the animatronic presidents moved so smoothly and realistically. Nice job Imagineers! If you are in the MK, stop by and check it out! Even if you don't like it, it's air conditioned and perfect for a short break! 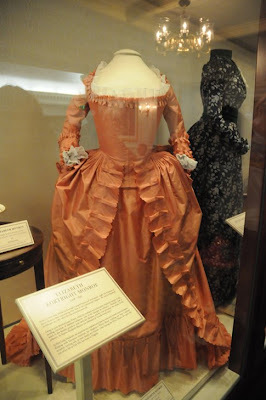 Thanks for posting the pictures of the dresses. They are really beautiful. And it is good to know there is less jumping during the introductions. That always bothered me. Living by the Magic (and the Dream, Fantasy, and sometimes the Wonder)!